Community broadcasting has been a huge part of my life. When I was only about ten years old my grandpa took me into his local station as a special guest on his program “Jazz with Jim” and ever since I’ve been obsessed. I’ve volunteered for a number of radio stations across the country, become a board member at the Community Broadcasting Association of Australia and I currently work for SYN Media based in Melbourne. – In a world where much of the media we consume is driven by profit or ideology community broadcasting is one of the few places designed to be for the whole community – not driven by consumer needs and wants, but driven by community needs and wants. – It’s driven by people speaking for themselves – not being spoken for. It’s increasingly important that we share the skills and platforms for people to speak for themselves. – It’s diverse, it’s different and it’s batshit crazy (in the best way possible). If you want to meet some of the most interesting, passionate and diverse people in Australia community broadcasting is a great place to do so. I’ve met so many inspiring, challenging and interesting people by being involved in community broadcasting. – It’s important for our democracy that everyone has a meaningful opportunity to be heard – regardless of their socio economic background, gender, sexuality or cultural identity. Community broadcasting is about giving people meaningful access to be heard. – It’s challenging and it’s fun. Community and volunteer organisations can be extremely challenging, but rewarding places. You can learn about more than just media making, but so much about yourself. Community broadcasting is an amazing place to learn life skills and connect with your community. 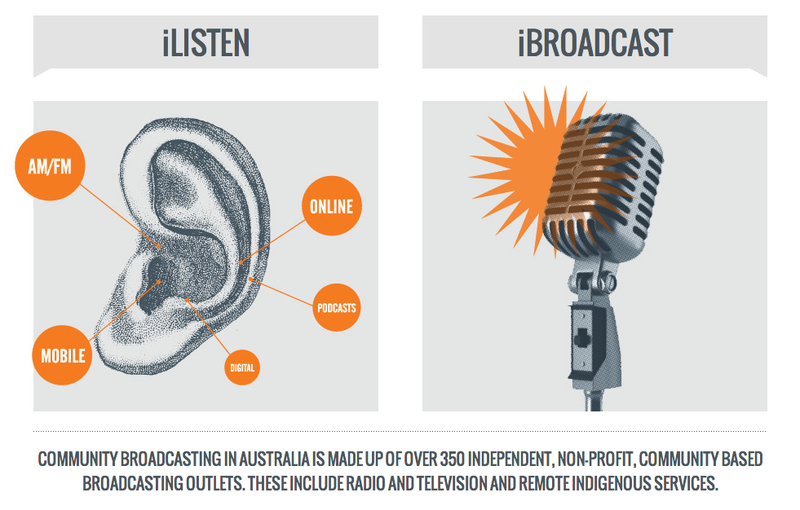 Australia has hundreds of diverse community broadcasters covering a wide range of topics, interests and communities. You can find out more and find out your closest broadcaster at CBOnline.